During the nineteenth century, Lemuria was imagined as a land that once bridged India and Africa but disappeared into the ocean millennia ago, much like Atlantis. A sustained meditation on a lost place from a lost time, this elegantly written book is the first to explore Lemuria's incarnations across cultures, from Victorian-era science to Euro-American occultism to colonial and postcolonial India. 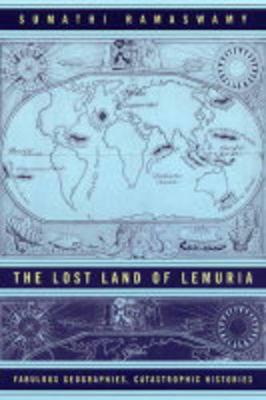 The Lost Land of Lemuria widens into a provocative exploration of the poetics and politics of loss to consider how this sentiment manifests itself in a fascination with vanished homelands, hidden civilizations, and forgotten peoples. More than a consideration of nostalgia, it shows how ideas once entertained but later discarded in the metropole can travel to the periphery - and can be appropriated by those seeking to construct a meaningful world within the disenchantment of modernity. Sumathi Ramaswamy ultimately reveals how loss itself has become a condition of modernity, compelling us to rethink the politics of imagination and creativity in our day.